A cool cafe serving breakfast, lunch and dinner meals. 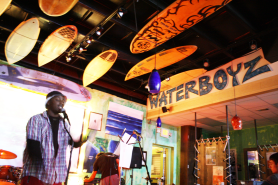 The best organic coffee, craft soda and draft beer in town inside of Waterboyz Surf & Skate Shop. We are even pet friendly!